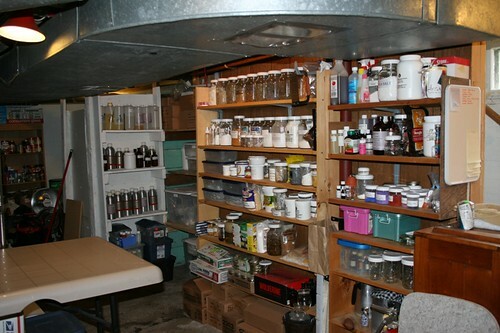 Yes, the genius Debbie Chialtas of Soapylove graciously opened up her home to us to show off her SoapSpace! 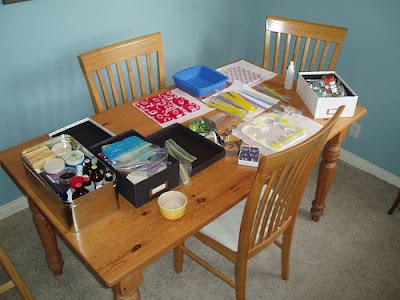 She is living proof that SoapSpaces come in all sizes... you don't need a huge soapspace to make it big...you can use your diningroom table! I work on new designs and tutorial projects in my kitchen and on the dinner table. Your favorite find is my 9" square silicone brownie pan with a super glossy surface. It's my workhorse! 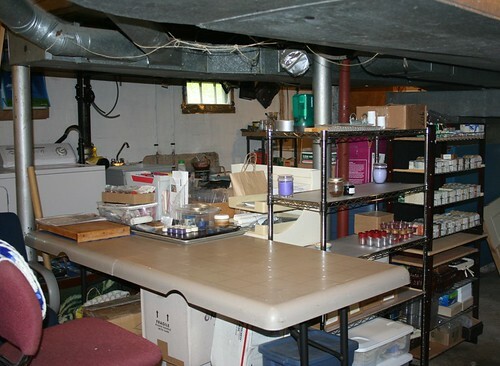 I've had my soapspace for over 4 years but we're moving to a house this weekend! Yahoo! Do you keep anything around for inspiration? Yes, I have a collection of supplies and little things I want to try "someday." I mainly collect photos and catalogs of details or ideas I like, though. Do you like to have anything on in the background while you work? No, I find music distracting when I'm working. Either it's too fast or too slow - I'd rather just have peace and quiet since that's very rare for me. I have a 4 yr old and 1 1/2 yr old, so you can imagine the chaos! 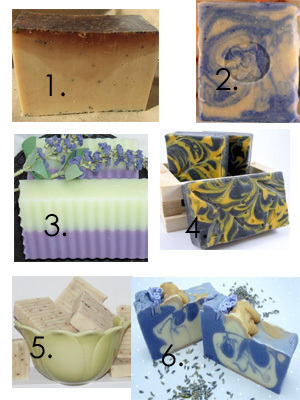 How often do you visit your soapspace? 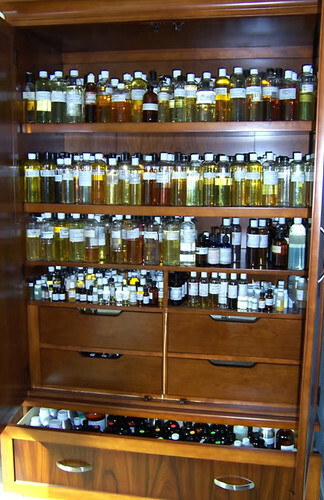 Constantly, but I wish I had a dedicated soap space. That would be amazing! Is your soapspace a public or private place? My kitchen is very public - the family is in there constantly! Thanks so much, Debbie! 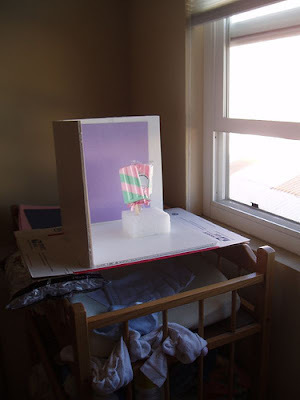 Please check out all Debbie has to offer: Her infamous Soapsicles and other M&P art, and did you know she's also an incredibly talented author who sends out M&P e-zines and will soon be releasing a book! 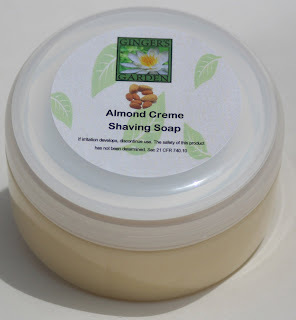 The incredible and super-helpful Irena of Gingers Garden opened up her SoapSpace for us to drool over! My space is a sealed off former formal living room. It's located in my house. My favorite find is my curing racks that I found at a restaurant supply that was going out of business. I've had my soapspace for 12 years here in the desert. Before that I've had a retail space and a studio in Santa Barbara. Do you keep anything around for inspiration? I keep my mother's handmade soap as a reminder how much harder it was for her to make soaps then. It's a little shop worn, but it's still a good soap. Do you like to have anything on in the background while you work? Techno and Adult Contemporary music keep my pace up. 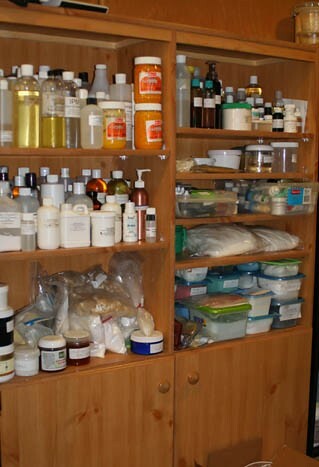 How often do you visit your soapspace? I go to my soap space at least once a day. 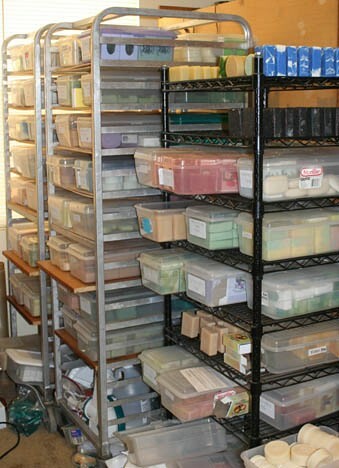 On soapmaking or shipping days much more than that. Is your soapspace a public or private place? My soap space is mostly private. 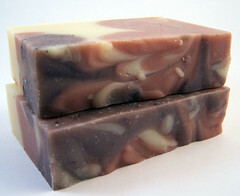 I did let my mail lady and my USPS man come and choose a soap of their liking in thanks for their help over the years. I stumbled across an absinthe bar on etsy a couple of weeks ago randomly. 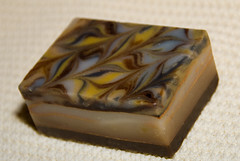 I thought it was such a cool concept I should see if anyone else makes absinthe soap...turns out some do! 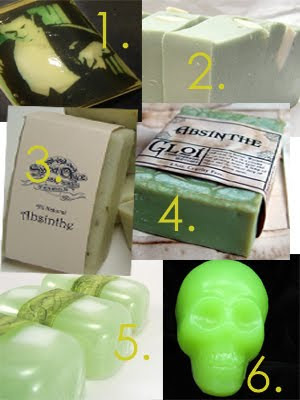 There aren't many on etsy that make it, so consider this weeks Etsy 6 Picks your guide to absinthe soap on etsy! Every Friday I'll post an easy DIY beauty recipe for you to try over the weekend. Good luck! In a small saucepan, heat water and rose petals just until boiling. Let the rose water cool, then strain out the petals. Pour rose water into your bottle. Then, pour in glycerin and aloe vera juice. Place the cap on your bottle securely and shake well to blend. Store your moisturizer in the fridge. Shake gently before each use. Try to avoid getting it in your eyes when applying to your face. 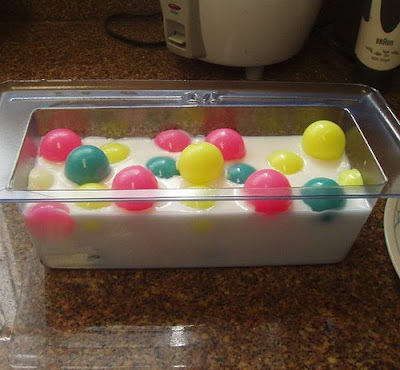 This recipe does not have a long shelf life so use soon! 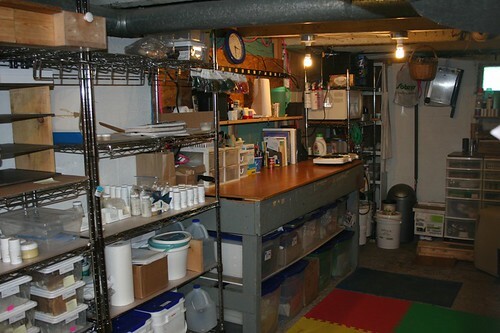 Our first SoapSpace interview is by Ann of Millstream Cottage Crafts who graciously opened up her basement studio to us! Do you keep anything around for inspiration? Not really. Inspiration comes from seeing product on the shelf. 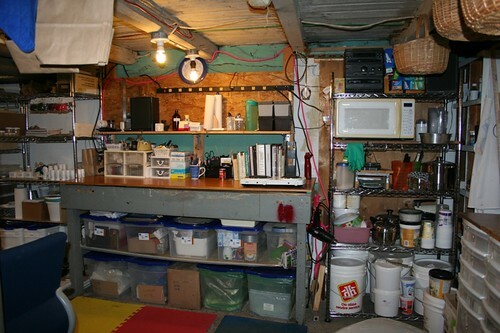 Is your soapspace a public or private place?It depends...on how friendly I am with the person, and how messy it is at the time. There's some opportunities to be featured that are listed on Soapsesseds twitter so make sure to follow it! Irena, soaper extraordinaire, gently reminded me that I had forgotten a popular type of soap: Cream Soap! 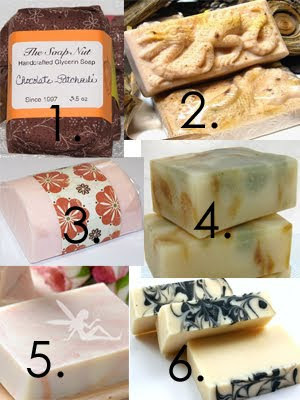 Cream soap is a combination of solid and liquid soap. It is made with both sodium and potassium hydroxide. It has a creamy texture and can be whipped into a souffle like consistency if desired. It has also been compared to fresh whipped cream or a thick pudding. It can be used as a facial soap to clean away make-up or as a shaving soap with a brush for men with additional ingredients. Can be applied by hand or with a wash cloth. We're now on Twitter, so come and Follow Soapsessed!